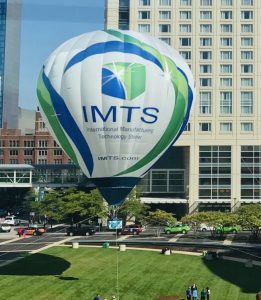 As a manufacturing newbie, I was quite excited to attend IMTS 2018 in Chicago. After all, it’s the biggest manufacturing conference in the world AND it only happens every two years. I considered it a type of bootcamp – jam in as much knowledge as possible in two packed days. I was pumped. The game plan was two-fold: 1. Soak in all the exhibits; and 2. Get some higher learning by attending the co-located Integrated Industries conference. In my career, I must have attended at least 50 conferences. It’s an occupational hazard. 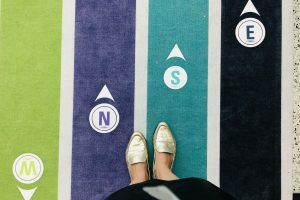 Most conferences use the tried-and-true method of mixing a tradeshow with educational sessions and demos. IMTS was no exception. The difference, however, was that it was HUGE. According to their post-show report, there were over 129,000 attendees from over 115 countries. It never felt too congested though, probably because it’s spread over 1,424, 232 square feet of exhibit space in the McCormick Place complex. Needless to say, I was grateful that I packed my sneakers and flats. On the first day, I racked in over 21,000 steps just from walking the numerous exhibit showrooms. 3D printing is in manufacturing to stay. While it’s not my specialty, I was quite impressed with the substantial additive manufacturing pavilion. There were too many cool 3D printing advancements to mention! Many companies I spoke to highlighted the versatility of 3D printing. Rather than saving 3D printing for just parts, manufacturers are also using it for custom tooling. The next show in 2020 should have even more impressive and advanced additive manufacturing technologies to showcase. While there was no shortage of gigantic robots and cool automation technologies, companies were quick to showcase their connectivity. 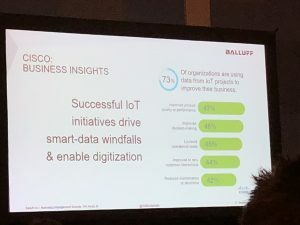 Rather than the same old OEE sales pitches, these were focused more on the future of manufacturing – Industrial Internet of Things (IIoT), and Industry 4.0. In fact, even the term “Industry 4.0” seemed like a buzzword as companies used it interchangeably in their pitches. I delved into Industry 4.0 (or, as some call it, the fourth industrial revolution) during the education sessions at the Integrated Industries co-located conference. Among many takeaways, forward-thinking manufacturers should consider how to integrate artificial intelligence elements, advanced data analysis, gamification, other bleeding edge technologies into the shop floor. There’s certainly gender disparity in the manufacturing industry. However, it seemed even more apparent at IMTS. Walking the exhibition floor, it was polo shirts and Dockers as far as the eye could see, with one exception – the booth staff. Many companies hired models to attract traffic at this booth. This is not a new tactic but seemed a bit tone-deaf in 2018. Hopefully the gender imbalance in engineering and manufacturing will change soon. Until then, the upside was that there was never a line-up for the women’s washrooms. Maybe because I was new and hadn’t learn the ropes yet, but there were no obvious networking events at IMTS. Despite being a registered delegate, I did not hear of any opportunities to hobnob. I imagine some of the bigger companies hosted off-site parties for clients, but it would have been fun to share notes with my follow attendees. I made the most of my free evenings by hanging out at the coolest club in town – the hotel bar – where I met several manufacturers and vendors who were eager to take a load off. 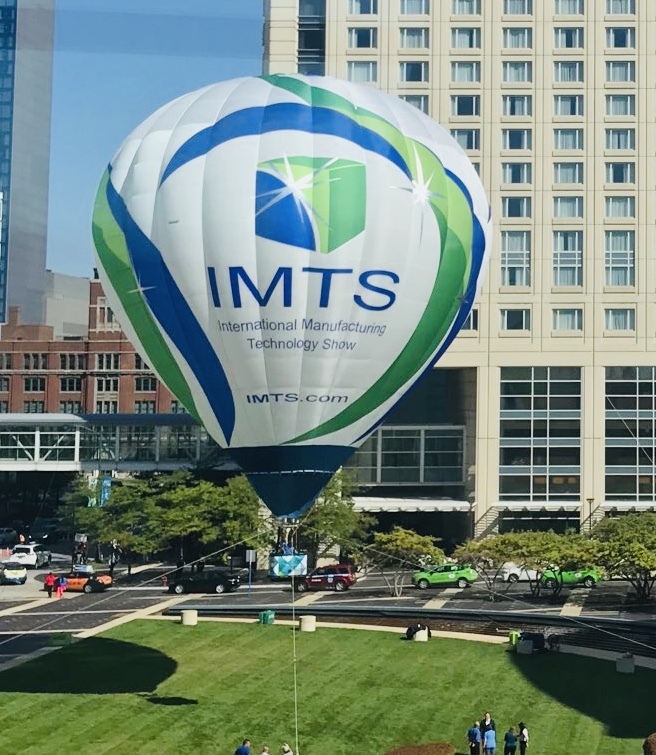 A lot can happen in two years when the next IMTS is held. Manufacturing technology is growing every day. Whether overtly or more subtly, exhibitors referred consistently to the future developments and trends to watch in the manufacturing space. Some of the more interesting insights came during the Integrated Industries sessions where savvy presenters outlined manufacturing trends on the shop floor. One of the “ah ha” moments was the idea that consumer technology like Siri and predictive AI is the next frontier of manufacturing. By 2020, over 20B devices will be connected. More and more, operators will be able to interact with machines via AI to deliver stronger performance, limit waste, and increase efficiencies. This is considered Industry 5.0 and I am excited to see how manufacturers adapt.